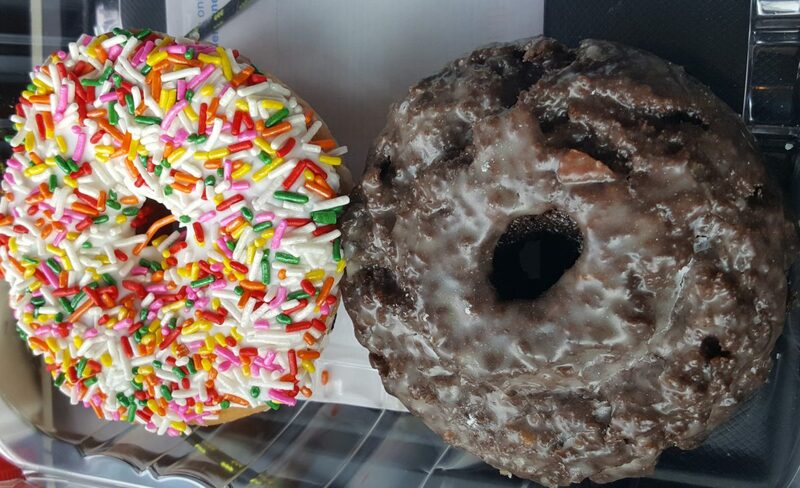 Chocolate and glazed with sprinkles are just two of the types of freshly made donuts available at Tommy’s. Photo by Doug Deal. I have not been a big fan of doughnuts or “donuts” as some places call them. Not because the idea of a sweet fried pastry doesn’t appeal to me, but because the mass produced options are often so bad. Krispy Kreme, for example, seems more like a puffed up ball of sugar similar to cotton candy rather than actual food. Dunkin Donuts seem to be mostly stale, but more like food at least. 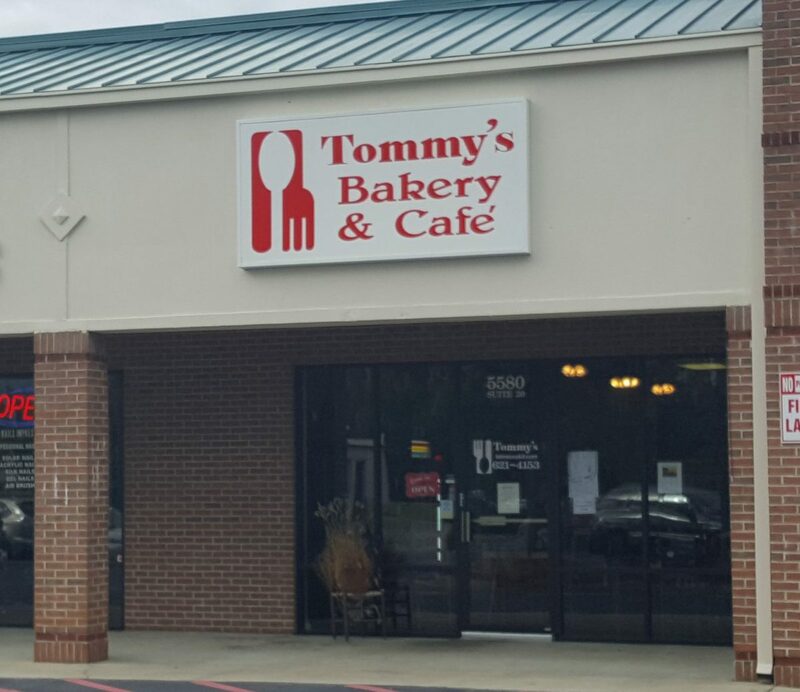 If you are looking to get away from the big chains and try some freshly made doughnuts from a locally owned business, I highly recommend Tommy’s at 5580 Thomaston Rd #20 in South Bibb County off the Mercer University exit of I-475. My family have made it a tradition to stop their while we wait for my son’s guitar lesson at the Greenwood School of Music to complete. Last Saturday morning, he specifically asked for us to get him a chocolate doughnut from Tommy’s and despite the relative closeness of Chik-fil-a and others, it was worth the extra drive. Boston Creme Pie doughnuts, how could you go wrong? Photo by Doug Deal. For the kids, we got the aforementioned chocolate, but for our daughter, she wanted the red velvet cake. Both were bigger than they could eat, fresh, moist and delicious. Previously, I have had their Boston cream pie doughnut (probably my favorite type of doughnut in the world) and an apple fitter, but this time, I decided on a chicken, egg and cheese on a french toast bagel, while my wife got a sausage, egg and cheese biscuit. 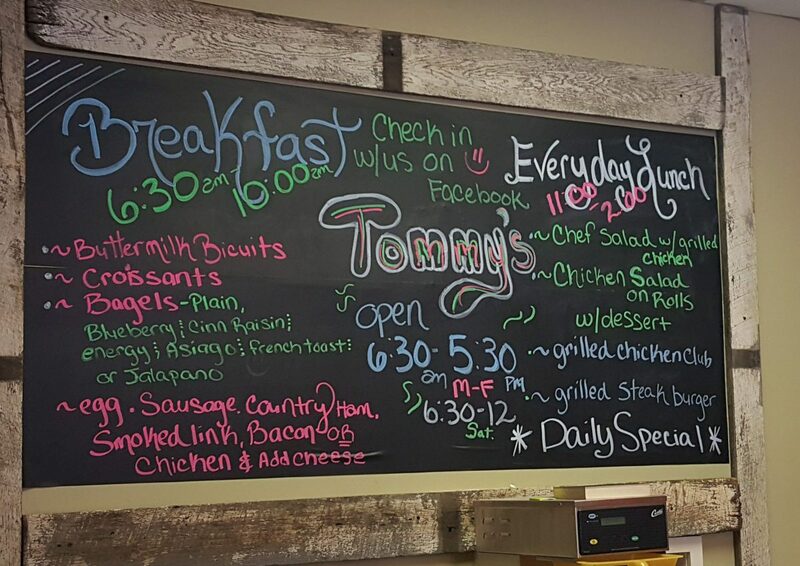 People will spend money at McDonalds or some other breakfast place and settle for mediocre meals, but if you want to support a local business and have an excellent meal prepared by people who care, give Tommy’s a try. 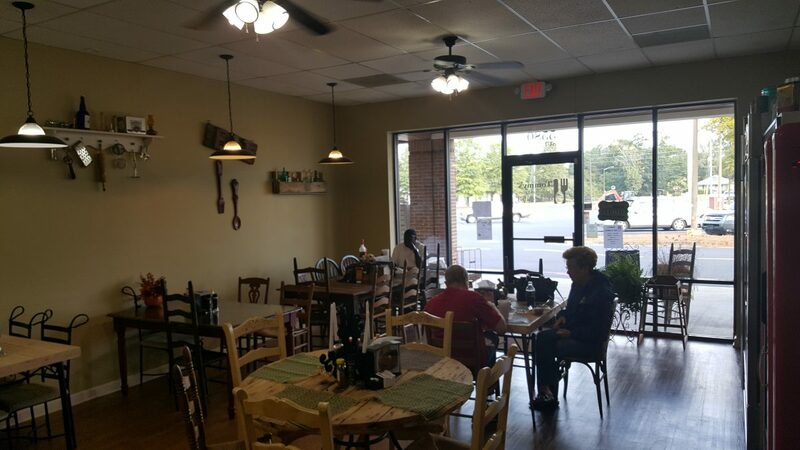 Interior view of Tommy’s. Photo by Doug Deal. They are also open for lunch and have various $5.99 lunch specials daily as well as hamburgers and other standard lunch fair. For those who want to take home dinner, they also have a selection of cold family sized takeaway meals at a reasonable price. Their hours are 6:30 AM – 5:30 PM Monday through Friday and 6:30 AM – Noon on Saturday. Their menu is available online and they also have a Facebook page. Catering is also available. Tommy’s menu board. Be sure to also try their cold food takeaway items, like the pimento cheese dip. Photo by Doug Deal.